The groups we work with or speak to are energized after learning this new modern approach to work. They are hungry for more and ready to implement these concepts within their teams and their organizations. One of our core beliefs at Reality-Based Leadership is to share as much content as possible so you can learn how to live and lead reality-based without ever having to spend a dime. We’ve got you covered! In our new playlist, The Core Philosophy in 10 Videos, you will find foundational concepts that will put your learning and development on the fast track. This is an easy, free, and practical way to start removing the drama and producing better results. As you watch these videos with your teams, we encourage you to get a conversation started. Throw these concepts around, try the techniques and tips on for size and see how your results change! Below are a few discussion questions for each video to get you started. What are common BMW driving conversations you hear from time to time? Make a list of the common circumstances that get in the way from us getting the results we seek. Pick on of those circumstances and come up with one way you could take action to impact or help that circumstance. Video 2: Why management must lead first, manage second. What are 3 benefits of our teams simply embracing and being compliant to new processes we implement instead of trying to modify them? What are some issues that come with the classic “open door policy”? Think about the past few days. How many times have you been in judgment of another or a situation instead of asking: “how can I help”? Video 3: What to do with a high performer what is high is drama? Why might being low drama add more value at work? What ways have you seen emotional expensiveness coming up in the workplace? Video 4: What is accountability? What are some conditions that you put on your buy-in? What are the differences between opinions and expertise? Which of the four factors do you struggle with the most and why? What circumstances tend to keep you from staying committed? What’s one actionable step you can take to overcome it? Think of a common obstacle in your life. What are two more things you could try to overcome it? Who are two more people you could reach out to for a tip? Think of something that consistently frustrates you in your life. How can you view that as a teacher instead of a nuisance? Have you ever turned a simple “call from your boss” into more than it was (drama)? How much time do you think you spend per day with employees who do that (venting, gossiping, tattling…? Write down all of your thoughts about a stressful situation. Once finished, go back through the story and ask yourself – What do I know for sure? And cross out anything that is not 100% true. Is your story shorter? Video 7: Should I let people vent at work? Here’s why not. What’s the difference between venting and sharing a feeling? What’s a good strategy the next time someone comes to you to vent? What do you typically do when someone stops to gossip to you? What are two great questions to ask when someone wants to gossip with you? Why is it a good idea for leaders to work with the willing? What are some ways we enable people to be unwilling? Take a moment to create an elevator speech in support of a change. We find there are 3 main camps people settle in during change – Resistance, Maintenance, Vision. Where do you spend most of your energy? What causes a lack of success with most change initiatives? The change itself or people’s resistance to change? How may you approach change differently given this information? Want to take your learning a step further or hire a speaker for your next event? Cy and our Reality-Based Speakers can deliver dynamic keynotes and training programs at your organization. 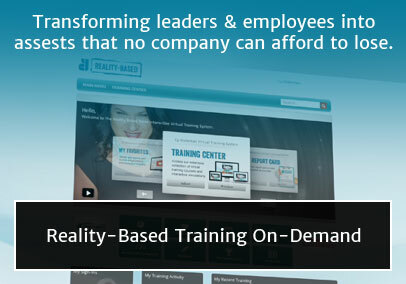 We also offer on-demand virtual training that is a great option for employee development across your entire organization. Why wait to start ditching the drama? Contact us at 402-763-8963 or info@cywakeman.com to learn more. Posted in Leadership by Cy Wakeman on November 28th, 2018. ← Loving Reality-Based Leadership? Here’s A Good Place to Get Started.